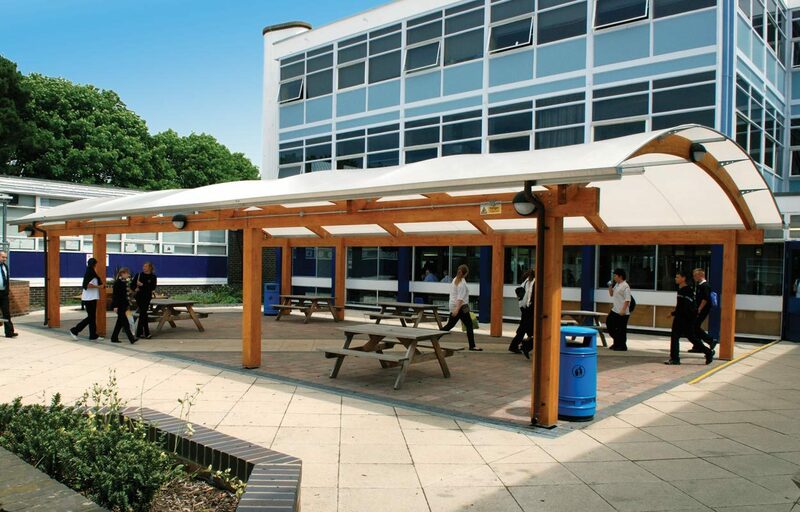 Timber canopy creates covered seating and social area at Sir Robert Woodard Academy. 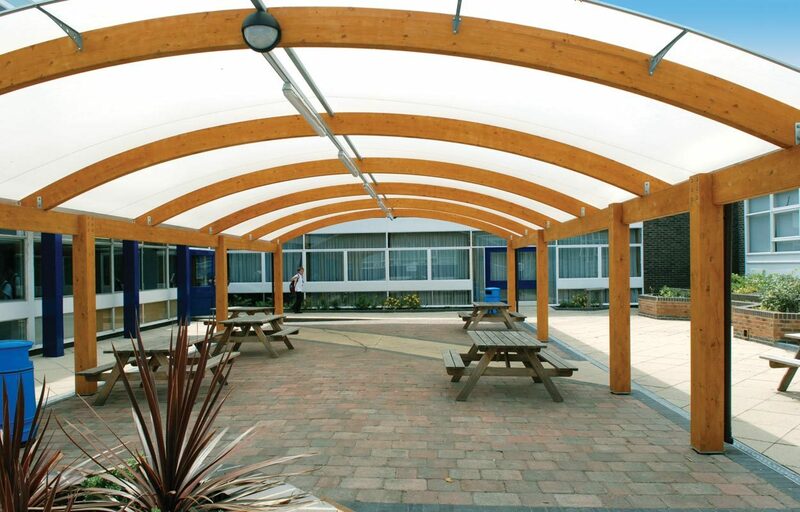 A sustainably sourced timber canopy has transformed this under used courtyard to provide the students and staff of Sir Robert Woodard Academy with a sheltered outdoor area. 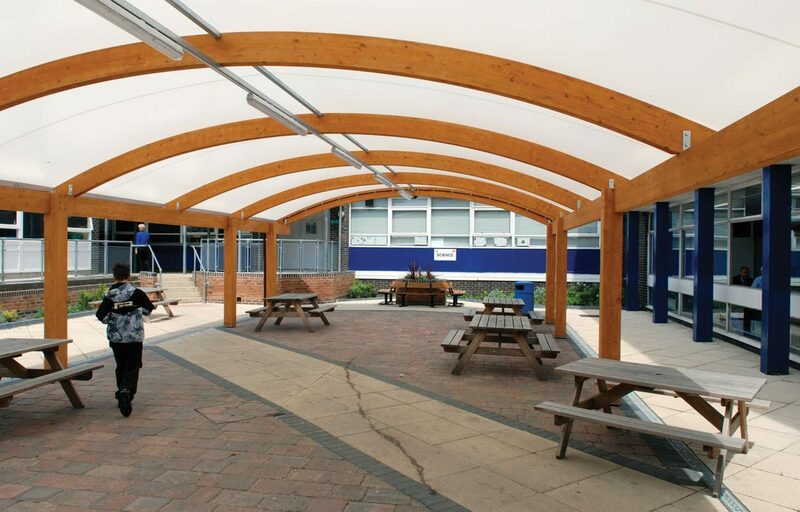 The structural glulaminated timber canopy is finished in a light oak stain. The barrel vault design is completed by an Opal 60 fabric and offers its subjects protection from the rain and UV rays. Dimensions: This 8m x 15m canopy covers 120m². 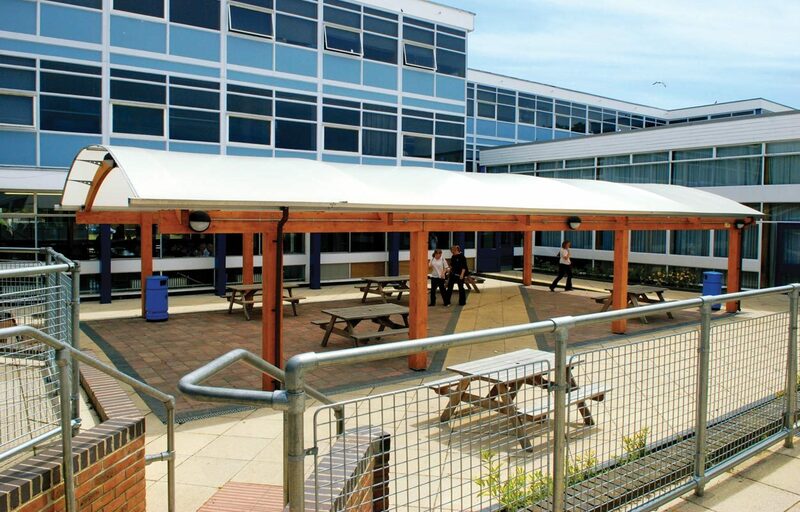 Roof: Fire retardant Opal 60 fabric. This fabric allows high light penetration while providing good UV protection. 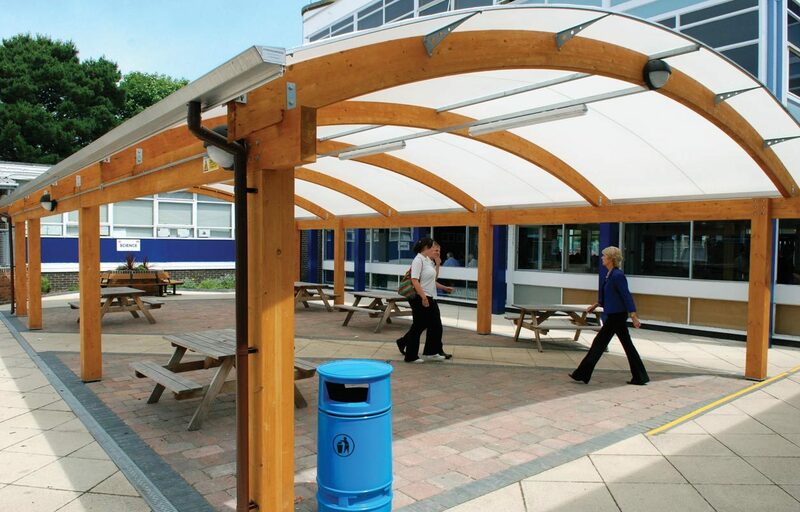 Our timber canopies can also be covered with hard wearing translucent 16mm triple walled polycarbonate.